Top Five Most Influential Superheroes That Didn't Originate in Comics! So now that the Comics Cube! has released its list of most important superheroes post-1938 who originated in comics, it's time for the most important superheroes who originated outside of comics. This list does not include mythological beings and Victorian-era characters such as Peter Pan and Sherlock Holmes. Sorry, folks, but that would really limit the selection. Much like I didn't include pre-1938 characters on the previous list, I won't go too far back from 1938 on this one. It'd be like saying that Achilles inspired stories that inspired stories that inspired stories that inspired Superman. 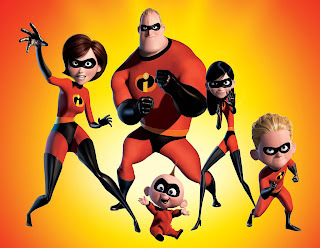 Honorable mention goes to The Incredibles. An incredibly fun film - one of the two best that Pixar has ever put out - and with well-done comics produced by Boom! Studios. Still, it's been six years, and I don't see them as having made a visible impact. 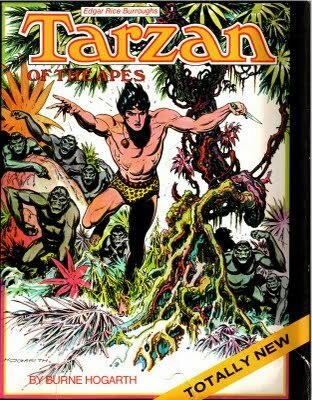 Honorable Mention also goes to Tarzan of the Apes, which was a very influential comic, though I'm not convinced of the character himself being as influential as the ones in the top 5. 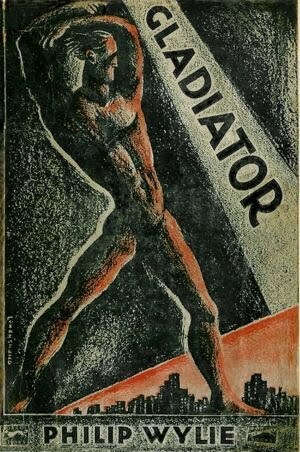 Gladiator, the title character of a 1930 novel by Philip Wylie, has superhuman strength, bulletproof skin, and a high leaping ability. He uses these abilities to make ends meet, fight in World War I, explore the wilderness, and try to effect social and political change. That's right, it's the same basic concept as the original version of Jerry Siegel and Joe Shuster's Superman, and the only reason it's not higher on this list is because Siegel and Shuster denied being influenced by it (this may have something to do with a lawsuit), and that its influence is more "accepted" by the experts than actually "confirmed." The title character of Buffy, the Vampire Slayer is herself very influenced by comics. Creator Joss Whedon has said that the dynamics of Buffy and her friends are loosely based on the Fantastic Four, and there's a lot of X-Men and Avengers influence. What Buffy did, though, was to bring superhero and genre-loving fandom to the forefront of pop culture. Here was the story of a girl who was discovering her powers, and Whedon and company used those powers as metaphors for everyday life. It was heavily inspired by archetypal Marvel Comics - the entire concept of Buffy sounds like the entire original concept of Spider-Man - and Buffy Summers brought that kind of thing to the attention of the rest of the world and had them say, "Hey, maybe there's something to this, after all." Don't believe me? Turn the TV on and look at Smallville. Yes, that's Superman. But it exists because Buffy was there first. Look at Heroes. 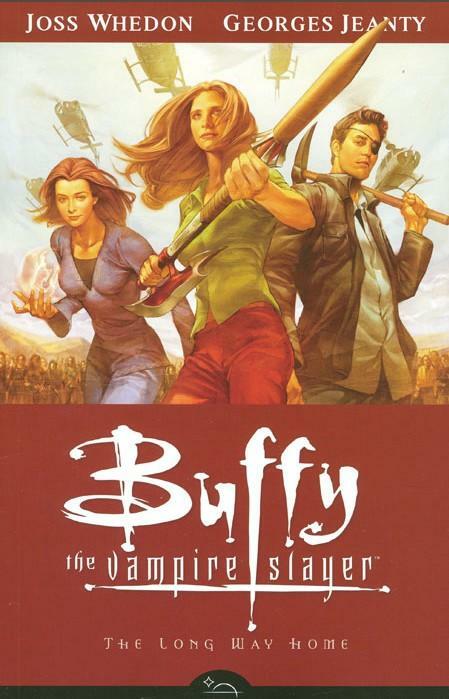 You think that kind of comic book-inspired narrative would have been there without Buffy to pave the way? Buffy was responsible for a lot of other innovations as well, most notably making people realize that there's nothing wrong with having a female protagonist (sadly, this seems to be ignored in large doses, still). But I think the real telling influence of Buffy is the fact that Joss Whedon's name on a comic book sells in large droves, and a Whedon panel or feature at a Comic Con is always packed. First appearing in 1933, created by Henry Ralston and John Nanovic, and published by Street & Smith, Doc Savage was one of the archetypal pulp heroes. He was an explorer, who had keen detective skills, great strength and endurance, and incredible intelligence. Along with another character, they represented a dichotomy in pulps that is prevalent in superhero comics to this day with Superman and Batman, with one being a more fantastical character with lots of elements that are full of wonder, while the other is a darker, more riveting character. Doc Savage is a heavy influence on many characters, what with his devices and keen intelligence and wealth (that should pretty much sum up 90% of the Golden Age heroes, including Batman). But the one that he has the most palpable influence on is Superman himself. 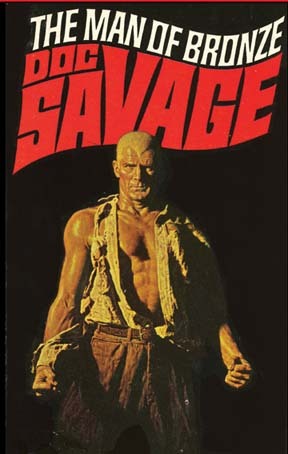 Doc Savage's real name is Clark. He is called the Man of Bronze, much like our favorite Kryptonian is the Man of Steel. And Doc Savage has a Fortress of Solitude in the arctic regions - decades before Superman had one. 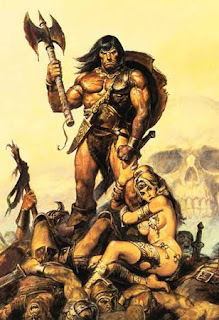 Come now, I'm sure everyone's heard of Conan the Barbarian at this point. Created by Robert E. Howard in 1932, Conan is the template from which all barbarian/fantasy/sword-and-sorcery heroes are somewhat based. And yes, that includes that He-Man guy. Having said that, that's probably the shortest description I've ever come up with. That's probably some kind of record, and that's because that's all that really needs to be said. Also published by Street & Smith and created by Walter B. Gibson, Lamont Cranston is The Shadow, star of pulp magazines and a really famous radio show, partly because he was voiced, for a while, by Orson Welles.. He makes up the Batman half of that dichotomy with Doc Savage that I spoke about earlier, and he is archetypal of so many Golden Age characters, so much so that people still want to write about him today. 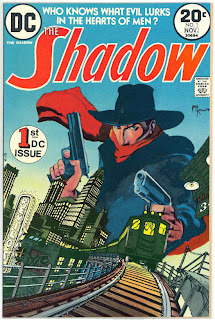 The most notable influence of The Shadow can be seen in the pages of Detective Comics. That guy with the bat on his chest wasn't just heavily influenced by the Shadow; he practically ripped off the Shadow. Many of Batman's first adventures were direct lifts of Shadow stories, including the first one. 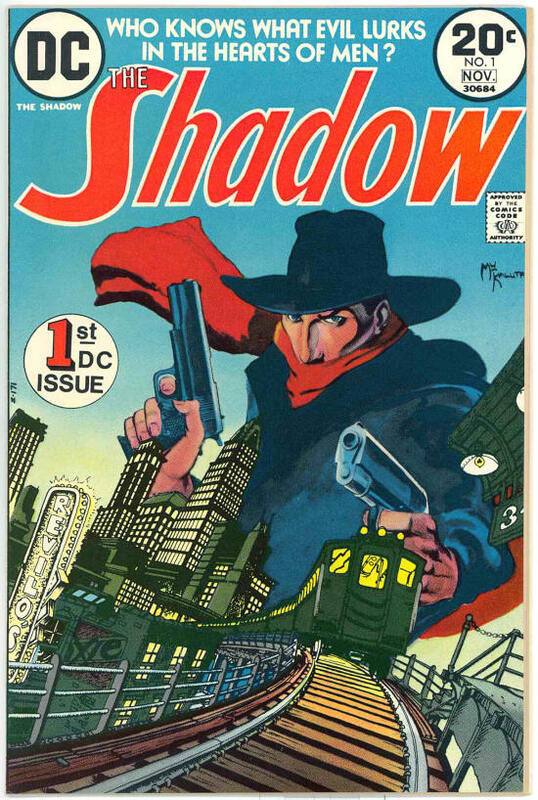 Or they were lifted off of other pulp stories from other characters, who themselves were ripping off the Shadow. Next Week: The Top Five Most Important Pre-1938 Superheroes Who Did Originate in Comics! Oh please. Gladiator is nothing like Superman, the similarities are superficial at most. Hugo Danner uses his powers to help people in a very covert way, he doesn't have the guts to get out there and tell everyone that he's got amazing super-powers. Because of that, when he saves some people from suffocation in a bank vault, everyone assumes he was a safe cracker. He joins the French Foreign Legion, but the only real difference between him and other soldiers was that he was bulletproof, something nobody but him knew. Clark Kent, as Superman, is a hero. Hugo Danner is a gladiator, and like all gladiators, he ultimately only fights for himself. Points are all valid, but I don't think that anyone really claimed that Gladiator was exactly like Superman, just that he had powers that were very similar to Superman and was most likely an inspiration. 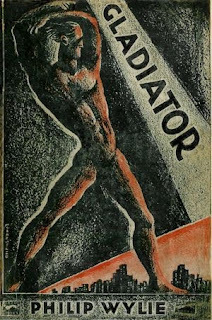 It IS a valid point that the novel came out soon before Siegel and Shuster came up with Superman, but I'm willing to give them the benefit of the doubt, which is why Gladiator isn't higher than he is.